A Greenwich Village restaurant, Favela Cubana, asked me to share their recipe for a spicy fall cocktail. If you’re in the area, the cocktails are $13 and there’s live entertainment on Tuesdays and Thursdays, but otherwise you can make it at home. This drink is a blend of spicy, sweet and tart flavors, with the contrast of blackberry and roasted jalapeno infused tequila elevating it to uniqueness. Fill a shaker with ice cubes. 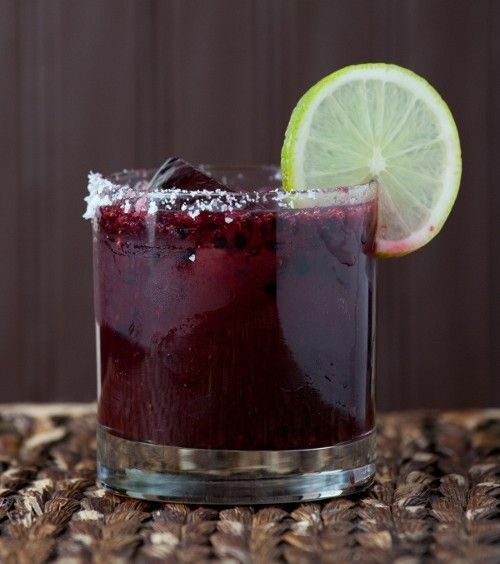 Pour in the tequila, triple sec, 6 blackberries, simple syrup and lime juice, and shake until chilled. Rim a rocks glass with pink salt and put one large ice cube in it. Strain the shaker mixture into the glass. Garnish with a lime wheel and the remaining blackberries.